Marvel’s Spider-Man will have plenty to offer fans of the famous webslinger. From classic suits to appearances from Spider-Man’s gallery of rogues, Insomniac’s first foray into the Marvel property is shaping up to be something special. Therefore, Easter eggs of all shapes and sizes are expected. Gameplay videos have previously shown off a few, such as Avengers Tower sitting at the heart of Manhattan. 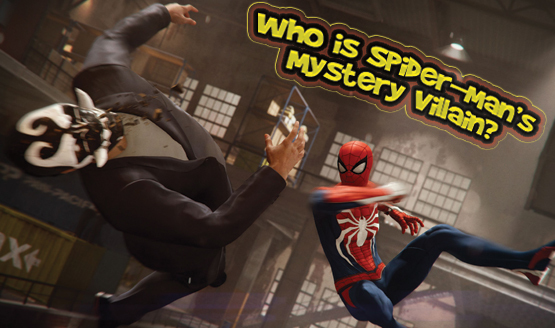 Fans should expect subtle nods to the comics, as well; even the difficulty levels cleverly reference Spider-Man comic books. At the start of Marvel’s Spider-Man, players will choose from one of three difficulty levels. (This can be adjusted at any point.) Insomniac cleverly named them Friendly, Amazing, and Spectacular. Friendly is the easiest mode of the three. Amazing counts as the normal difficulty setting. Finally, Spectacular represents the most difficult. Interestingly, all reference classic comic series in which the hero stars. While “Friendly Neighborhood Spider-Man” is often how Peter Parker refers to himself, it’s also a series written by the prolific Peter David. Meanwhile, The Amazing Spider-Man was the hero’s first ongoing series, which Stan Lee and Steve Ditko started in 1963. A few years later, Marvel launched a second run of comics with the webslinger as the titular character—The Spectacular Spider-Man. In terms of the difficulty settings themselves, what changes each mode will offer are currently unknown. Enemies will undoubtedly be stronger on Spectacular, but will the AI also be smarter? One thing we do know is that enemy levels won’t scale according to player level. However, Marvel’s Spider-Man will get more difficult as people progress through the game. Since Insomniac’s latest has recently gone gold, there are only a few weeks left until we’re all swinging around Manhattan. Marvel’s Spider-Man launches on PlayStation 4 on September 14, 2018.